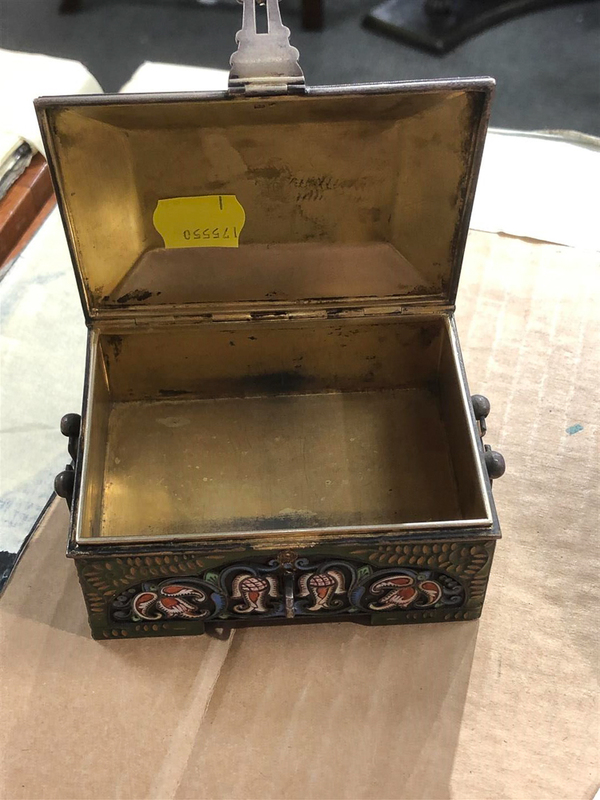 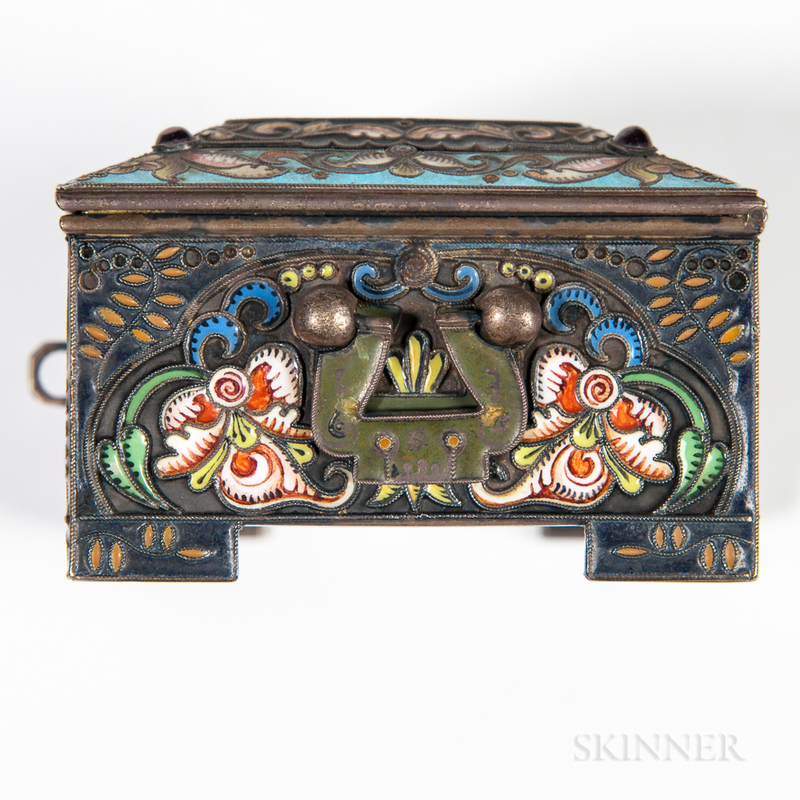 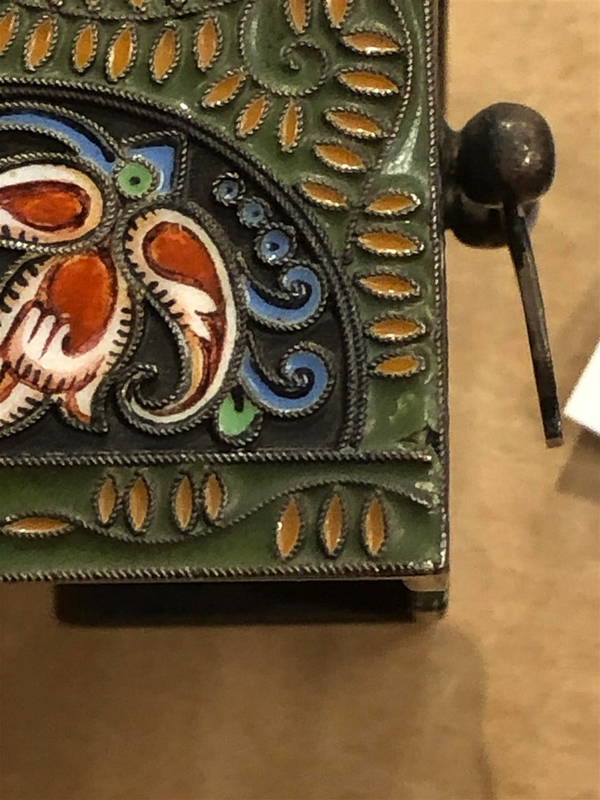 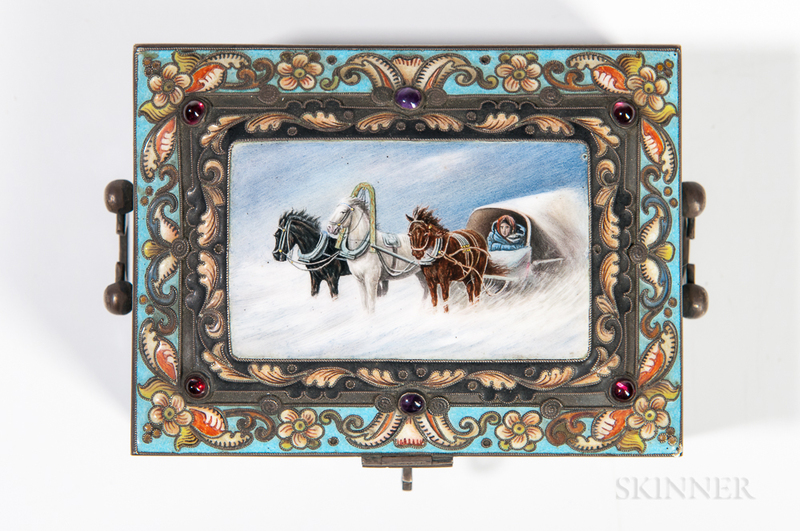 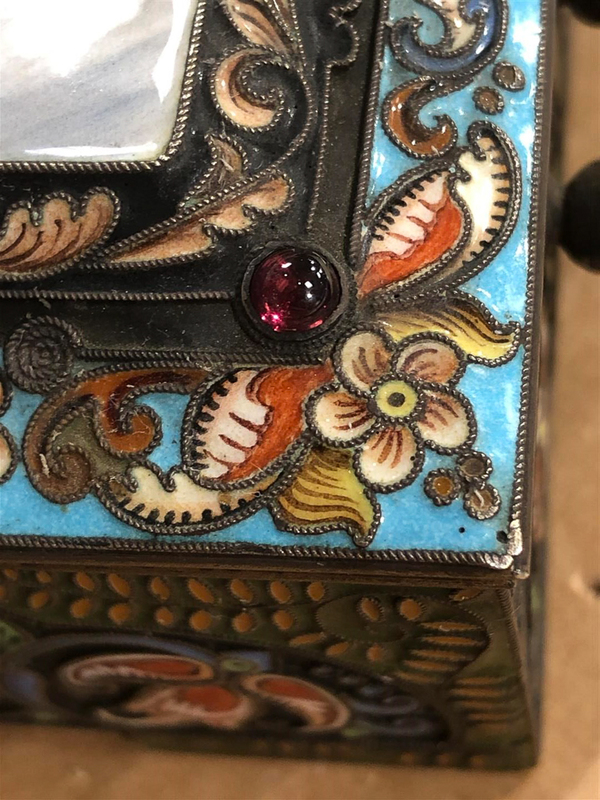 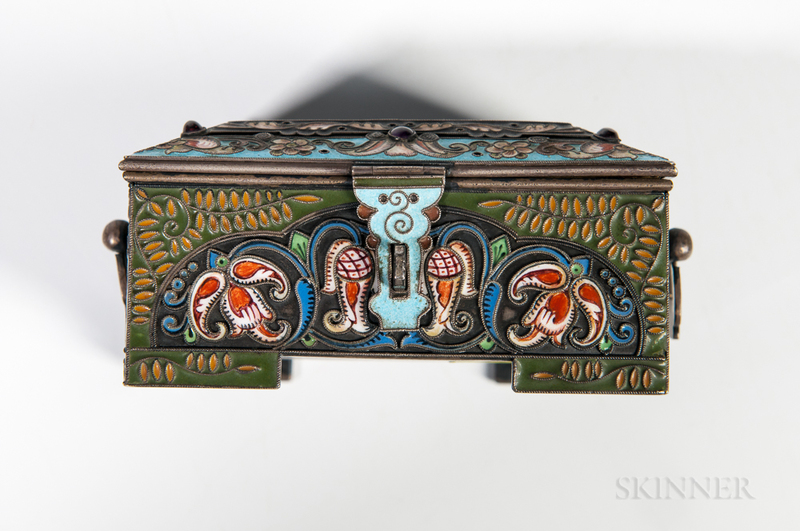 Russian .917 Silver, Cloisonne, and En Plein Enamel Box, Moscow, 1908-17, Feodor Ruckert, maker, with a central en plein enamel troika scene to lid and allover floral design, lg. 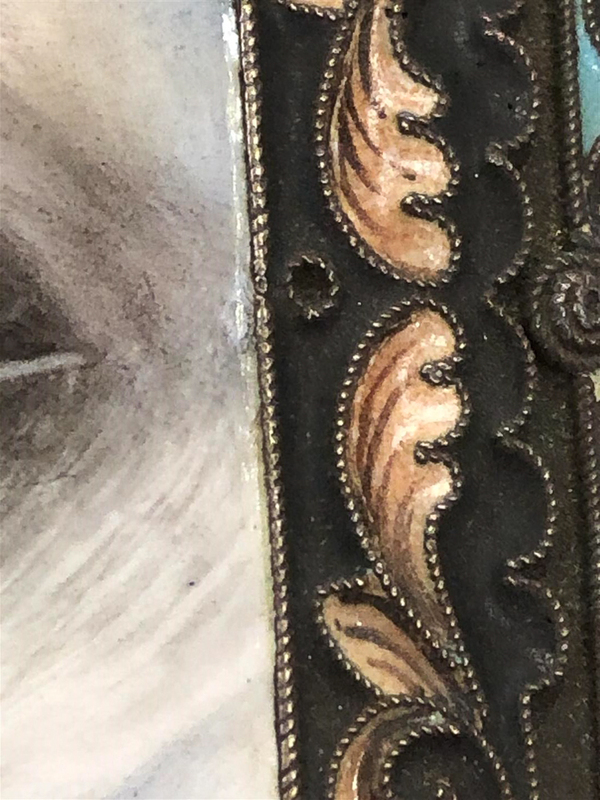 3 1/2 in., approx. 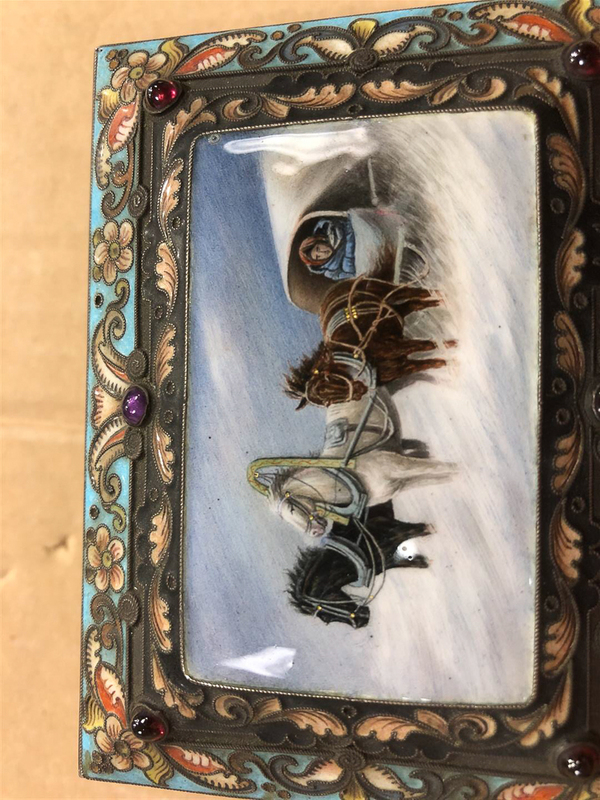 8.1 troy oz. 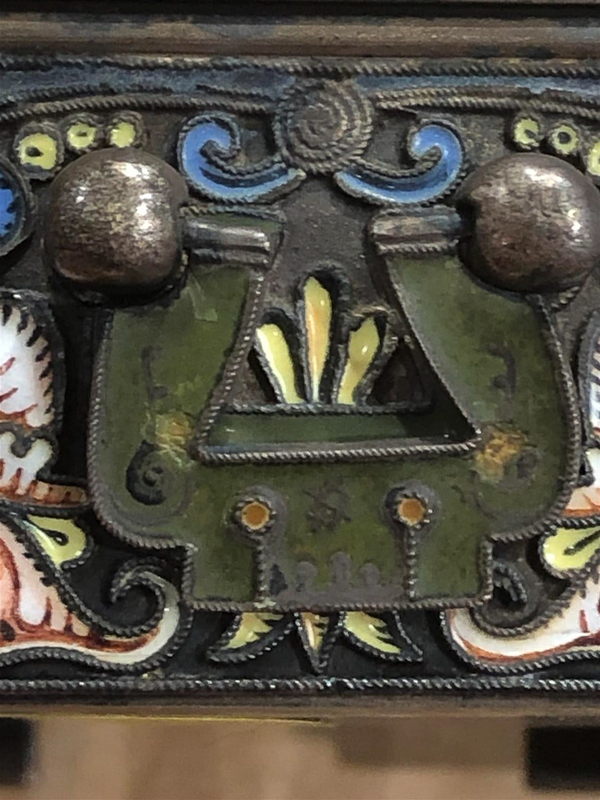 Small flaked loss to middle right side and imperfection to upper right side of en plein panel. 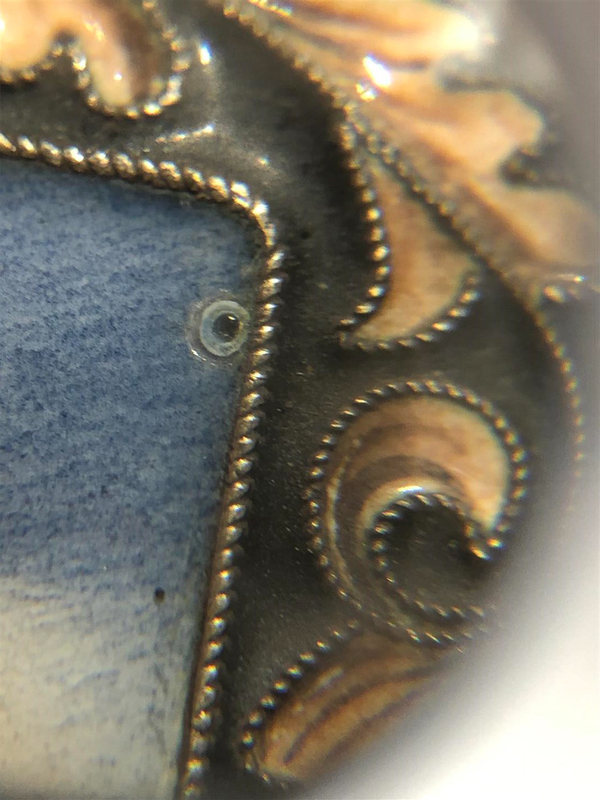 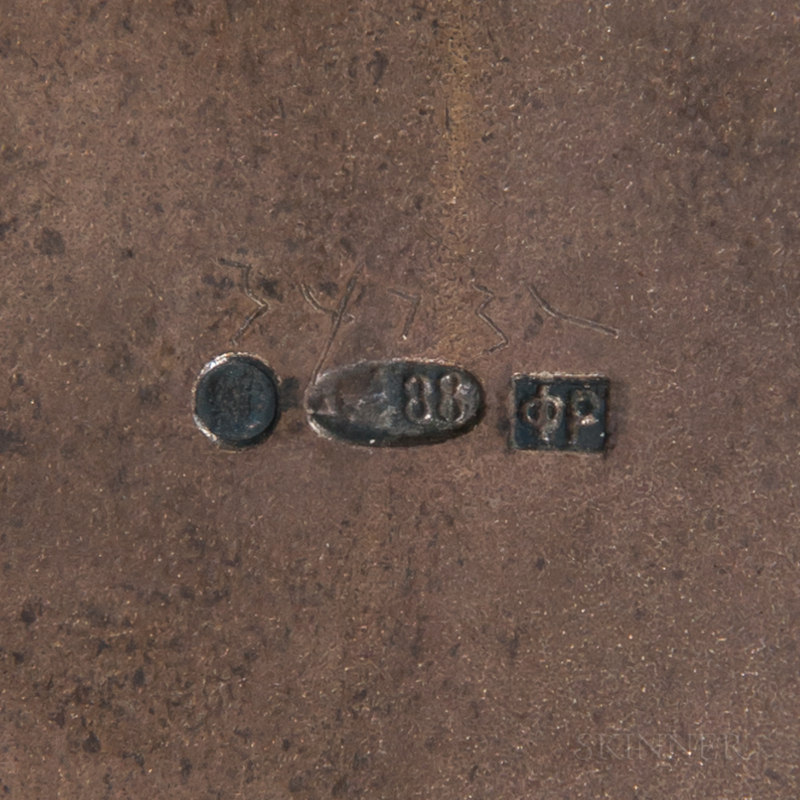 Very small nick to silver on upper right corner of lid. 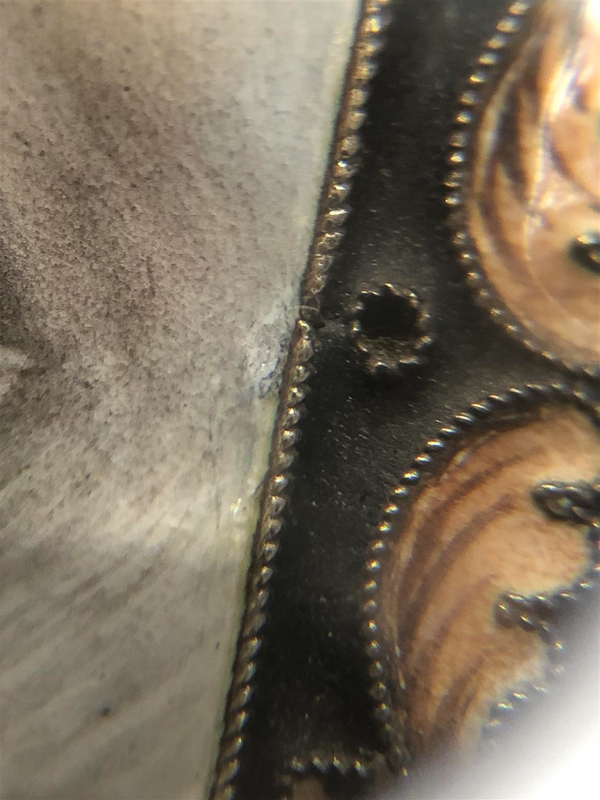 Small chipped loss to lower right front panel and small chipped losses to hinged handle on right side.